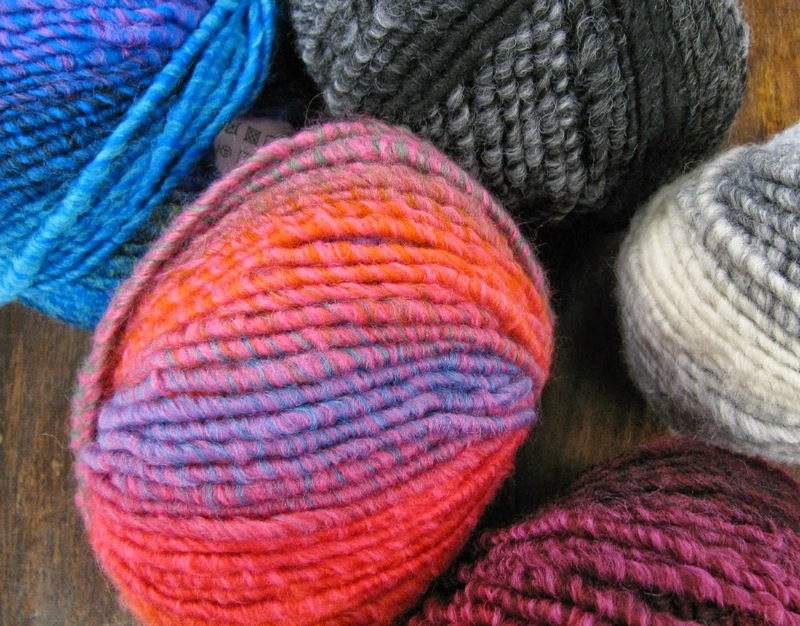 Rico Creative Bonbon is our newest super chunky - a self striping 53/47% wool acrylic blend in BIG 100g/100m balls. It has a lovely blurred stripe - with shades blending and twisting into each other. They blend beautifully with our Essentials Super and our pom poms too!